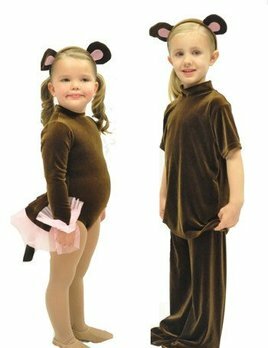 Little bear dance costume with tutu and headband ears! Monkey costume with headband ears! Available in classic design with back tutu leotard or in alternate option with pants and a top. Great for duets! If out of stock, allow 2-4 weeks for delivery.